CCTV Surveillance and PIS have evolved from standalone displays and audio to multimodal integrated systems to keep passengers informed and safe within public transit systems, such as trains, station platforms, buses and bus shelters. Left Objects Detection (LOD) feature of CCTV systems have become very popular and useful to prevent serious crimes such as early detection of timed release explosive materials. Modern systems incorporate multiple communications technologies, including IP networks, wireless networks, video streaming, advanced visual displays, public address, emergency intercom etc. They are controlled and managed from a centralized operations center and deliver real time information for remote monitoring and control. 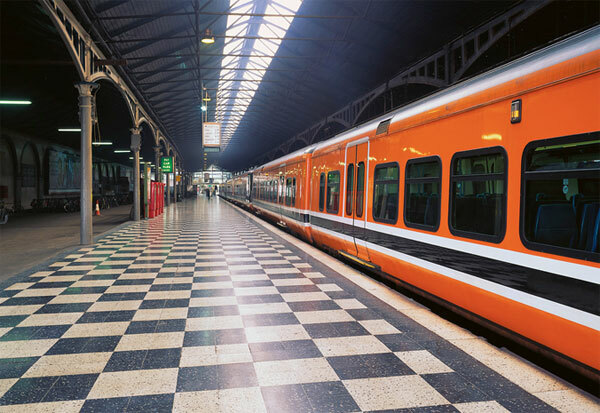 We discuss below a few instances of GL's work in designing and implementing Video Surveillance and Passenger Information Systems. GL has designed a smart video surveillance system/CCTV communication and control center for one of its mass transit customers. The system works round the clock and is capable of maintaining surveillance within the transit network. GL has designed a SET System for a large metro transit network. A SET system enables patrons, when faced an emergency, to seek help at the press of a button on an emergency telephone. GL has designed and integrated a PA and LED sign system for a metropolitan train transit network. The integrated system is used to provide passenger information and emergency announcements in public access areas within train stations. GL Communications Inc. provides technical consulting, and engineering services in wireless, telecom, and IT disciplines. Customers include telecom carriers, mass transit and public safety systems nationwide. We have designed over 100 wired and wireless telecom network systems over the past 21 years. GL is a DBE/MBE firm certified by Maryland's Department of Transportation (MDOT), Washington Metropolitan Area Transit Authority (WMATA), South Eastern Pennsylvania Transportation Authority (SEPTA), Massachusetts Bay Transportation Authority (MBTA) and Virginia Department of Transportation (VDOT).